Did you know that adding a patio to your home can not only increase your curb appeal but it can also increase your home’s value? A patio gives you a beautiful outdoor space that you can use for entertaining or relaxing without having to worry about your grass. 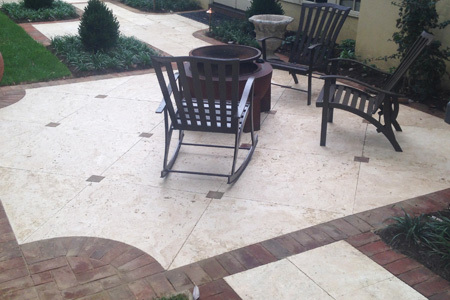 At Mr. Pavement, we’ve designed patios of all shapes and sizes to complement the layout of your home and meet your patio needs. Our expert paving company offers concrete, asphalt, and paver patio installations, so no matter what your preference, we can help. If a simple patio is what you’re looking for, we can design and pave a solid asphalt or concrete patio in a shape that adds beauty to your home. 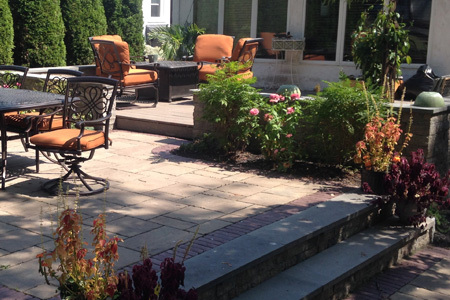 If you’re looking for something more artful, however, our paver patios are a great choice. We carry a variety of paver shapes, sizes, and colors to add elegance and composition to your curb appeal. One of our favorite features of a patio is the fact that it gives you an area to entertain family and friends. Whether you’re celebrating a birthday, graduation, retirement, or just getting together for a barbecue, a patio gives you a great place to do it. From fire pits to grills to lounge chairs and more, you can fill your patio with whatever you’d like to make it the perfect addition to your home. If you’re interested in a patio that can increase the value of your home and your life, give us a call today and we’ll help you get started.